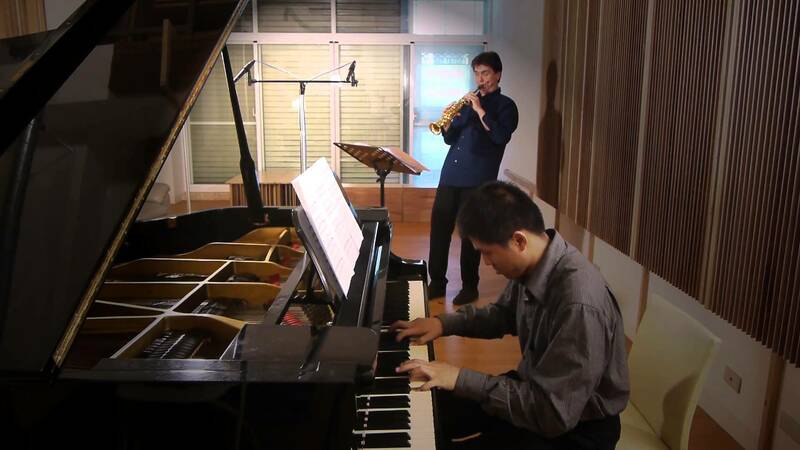 At this year’s Sound of Dragon Music Festival, the Ka Dao Yin ensemble will combine a zitherlike zheng, a sheng (mouth organ), a melodica, and a saxophone. The biennial Sound of Dragon Music Festival is nominally about contemporary Chinese music, but underpinning this is a strong subtext: collaboration. The kind of collaboration, in fact, that’s embodied by its founder and artistic director, erhu (Chinese violin) virtuoso Lan Tung. Born in Taiwan and a Vancouver resident since 1994, Tung has made trans-Pacific partnerships a major part of her festival’s mandate. This year’s guests are the four members of her native country’s innovative ensemble Ka Dao Yin—whose members play zheng (a harplike zither), sheng (mouth organ), piano, melodica, and saxophone—and their presence flags another Sound of Dragon principle: cross-pollination. 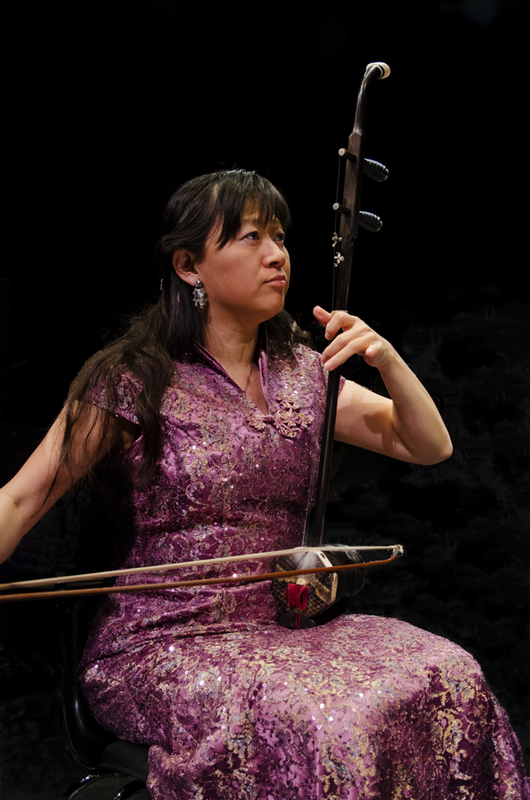 Just as Tung is comfortable playing traditional Chinese classics, Silk Road fusion sounds (with the Orchid Ensemble and Lalun), or more improvisatory forms with Birds of Paradox, her festival incorporates everything from free interplay to through-composed scores. This year, Sound of Dragon is also moving into interdisciplinary work by bringing painting into the mix, thanks to the presence of Tung’s brother Li, an acclaimed visual artist based in Taipei. “My brother, he’s two years older than me, so for as long as I can remember he was studying painting, from very young,” Tung recalls in a telephone interview from her East Vancouver home. “And, actually, I studied painting as well, from the same teacher. This year’s festival isn’t the first time the Tung siblings have collaborated: his paintings have often inspired her compositions. But this time Li Tung will be painting live, on-stage, responding to the musicians around him while they, in turn, will take their cue from his visual output. One of Sound of Dragon’s most radical presentations is on opening night—a program called light shadow fire. For this, NOW Society improvisers Lisa Cay Miller (piano), Ron Samworth (guitar), and Clyde Reed (upright bass) will join Ka Dao Yin’s Shih-Yang Lee (piano and melodica) and Klaus Bru (saxophone), plus Lan and Li Tung, for a night of spontaneous creation. Lee and the Tungs will also close the festival on Sunday (April 24) in conjunction with wildman pianist Paul Plimley, another Vancouver improviser with an international reputation. It’s a show that Lee, in particular, is excited about. Between these two poles, the festival encompasses everything from solo performances to bagpipe and suona (Chinese oboe) duets to an appearance by the Vancouver Inter-Cultural Orchestra, performing mostly new works by Canadian composers. Another significant undertaking will be the debut of the Sound of Dragon Ensemble, an all-star troupe that Tung hopes will have a life beyond festival season. “We’re starting with a small ensemble to have a good core, and then we can look forward to different projects, bringing in different instruments and musicians,” Tung says, noting that she’s already assembled more than 30 original compositions for the new group, thanks to a well-received international call for scores. “It would be interesting to have an ensemble of all erhus, for instance! Based on what’s in store for Vancouver this weekend, the future looks very bright. Ka Dao Yin’s Shih-Yang Lee and Klaus Bru.